Because I still have to “catch up” I am posting in random order because some photos relate to each other better than if I went in order. When/if I catch up I will just go in order… I think. Thanks for being patient with me. 23. Vegetable Unless I am going to serve vegetables right away I just don’t buy fresh as often as I like. They end up bad before we can eat them all and I don’t like living at the grocery store. 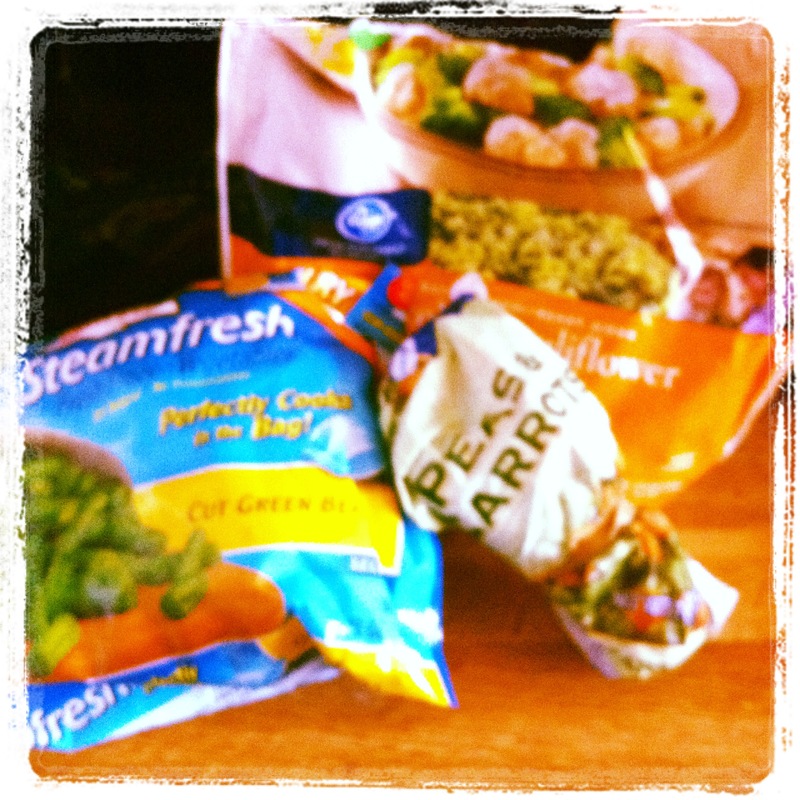 I always have a supply of veggies in the freezer. Right now C boy is into carrots, broccoli and cauliflower. Surprising I know. Sweet P will eat almost any veggie as long as his big brother doesn’t start making a fuss about them. 26. Black & White I was feeling very literal when I took this shot. 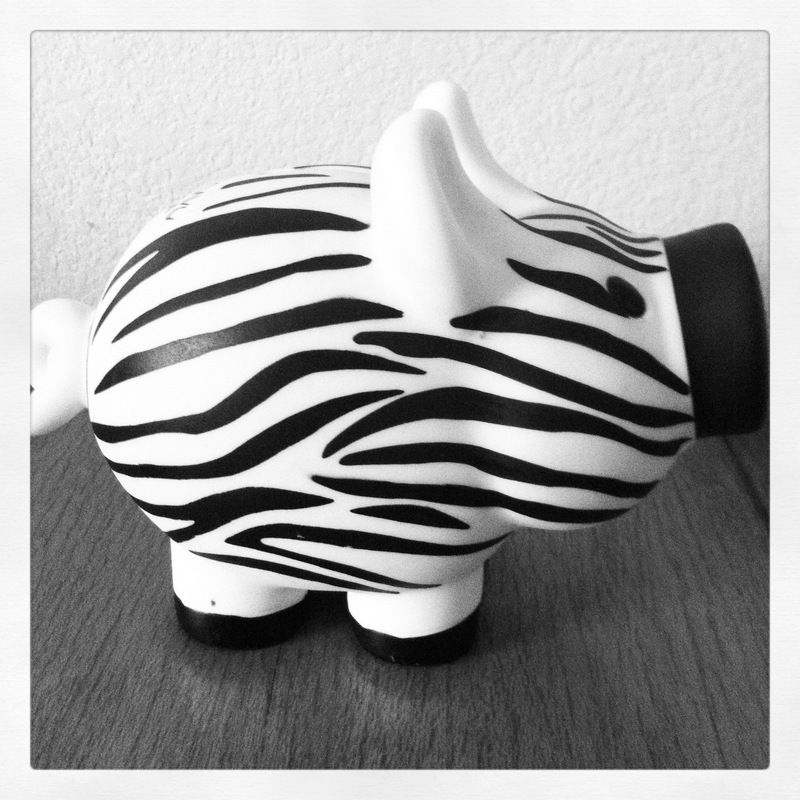 I love that the piggy bank is zebra print. A very stylin pig. I’ve had this thing for years. The boys found it and have claimed it. Black & White – To Literal? 29. Circle I could spend days in a paper or office supply store just looking at al the fun options that are out there for paper, folders, envelopes, cards… you get it. A friend of mine found this folder with colorful circles. 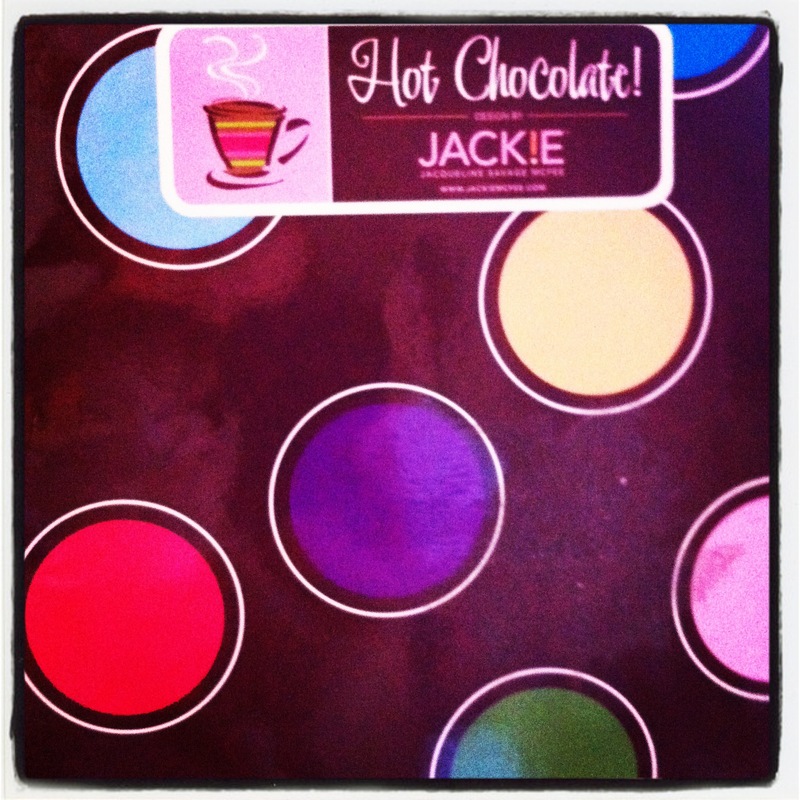 And it says Chocolate (yumm) and Jackie. I was meant to have it. This entry was posted in April Photo a day, Photo a Day and tagged Photo, photo a day, photos, zebra print by jackiestyle. Bookmark the permalink.